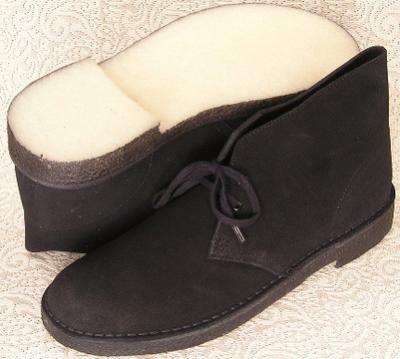 The Clarks Desert Boot is an international cult classic and is the cornerstone of Clarks casual line of men's footwear. The Desert Boot is inspired by the crepe-soled boots worn by British officers in World War II. It has soft suede, full grain leather uppers and genuine plantation crepe outsoles for all-day comfort. Timeless styling that is unchanged for fifty years has made this nostalgic beauty a shoe for all men.